Our night in a hotel turned out not to be as restful as we hoped. The bar over the road was pumping out the tunes until about 3 in the morning, so we didn’t sleep too well. I suppose that’s what we get by going for the cheapest room in town on booking.com, I far prefer a nice quiet forest! 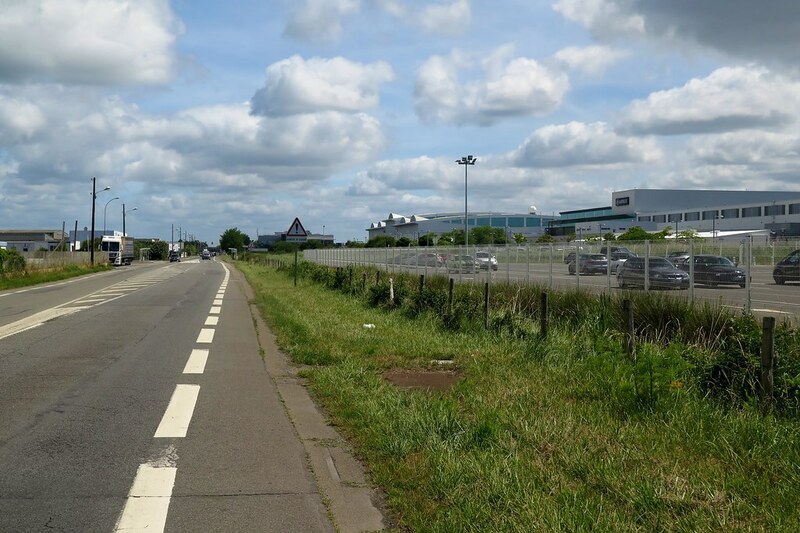 Leaving St Nazaire, we left the ocean and headed north, past the airport and Airbus plant, avoiding the big bridge. More by luck than any real planning, once we were away from the centre, we joined a path running next to a disused railway line. This gave us a flat and traffic free ride for about 20km, until it got a bit overgrown and we headed back onto the roads. We were up into rural Brittany now, on very quiet farm roads, some paved, others dirt, but all very quiet, and easy to find a place to camp. We were early to bed and slept very well, both tired from the lack of sleep. 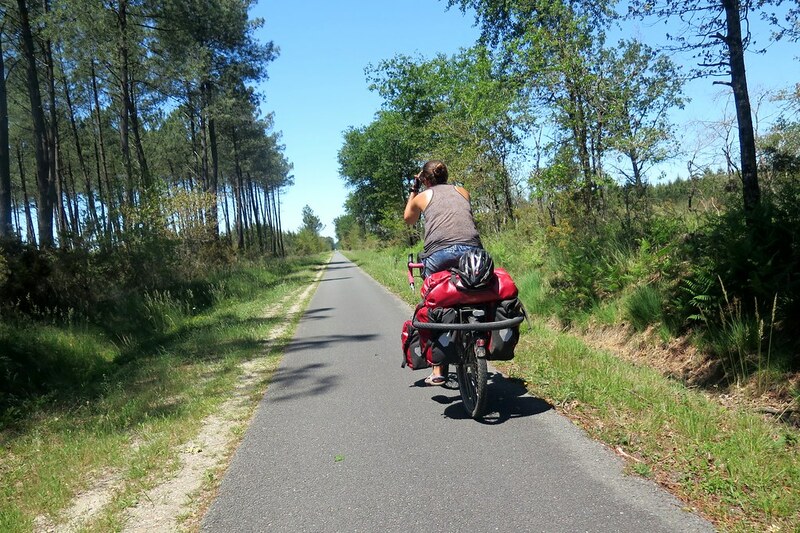 Leaving St Medard en Jalles we rolled straight back on to the cycle path heading towards Lacanau. It was an easy, but not exactly exciting ride, the path followed a dead straight line through thick pine forests pretty much all the way to the coast. Just before reaching the sea, we went around the Lac de Lacanau which had a public beach area which was super busy as it was a public holiday. It was a really warm day so we went for a paddle ourselves. We managed to wade out quite far as the lake seems to stay very shallow. From further out, we could see some much more secluded areas a little way around the lake shore, which looked perfect for camping. So we took the bikes down a sandy track about a kilometre away from the public beach and found a place to sit out in the early evening sun. The sun is setting really late now, and even after 8 o’clock, it was very hot in the direct sun. We rigged up a tarp with the tent poles to give us some shade and had some dinner. 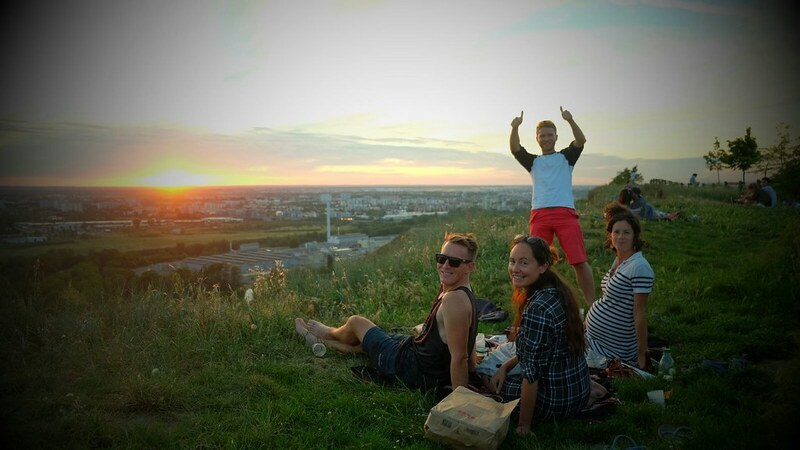 On our last night in Toulouse, Tim and Claire took us up to a hill overlooking the city for a picnic. A beautiful spot for a sunset and a really nice way to round of our time with them. The sun is setting after 9 o’clock these days, so it’s been great to take advantage of the longer evenings. The hill also overlooked the airport, and the huge Airbus assembly plant. The plane nerd in me enjoyed watching the aircraft on their final approach to landing, probably taking a few too many blurry photos. We’d been in Toulouse for 10 days, and were definitely ready to get moving on to the final leg of our trip. 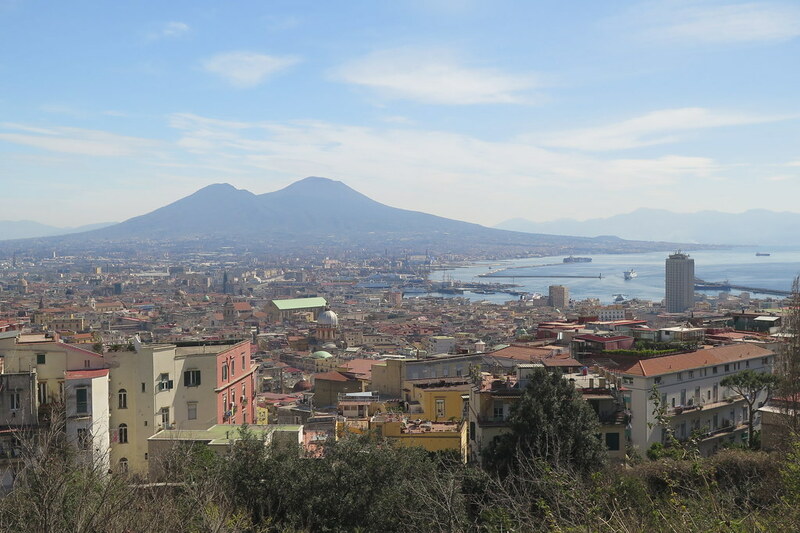 Our stay turned out to be quite productive for me – I had a few Skype interviews and now have a job, related to cycle touring, starting a couple of weeks after we arrive home. It makes our return feel all the more real, but it’ll take a lot of stress out of setting up and living in the UK again after 7 years away. Not many kilometres added to the clock in the past week or so! From Carcassonne we had a short ride to Toulouse, which we split over a couple of days. The weather when we left looked miserable, gusty winds and rain showers which didn’t give us much encouragement to pack up and hit the road. Once we did get rolling, we realised the wind was working in our favour and it was an easy ride. Kind of the opposite of when we rode into Carcassonne, when we had sunshine but headwinds. 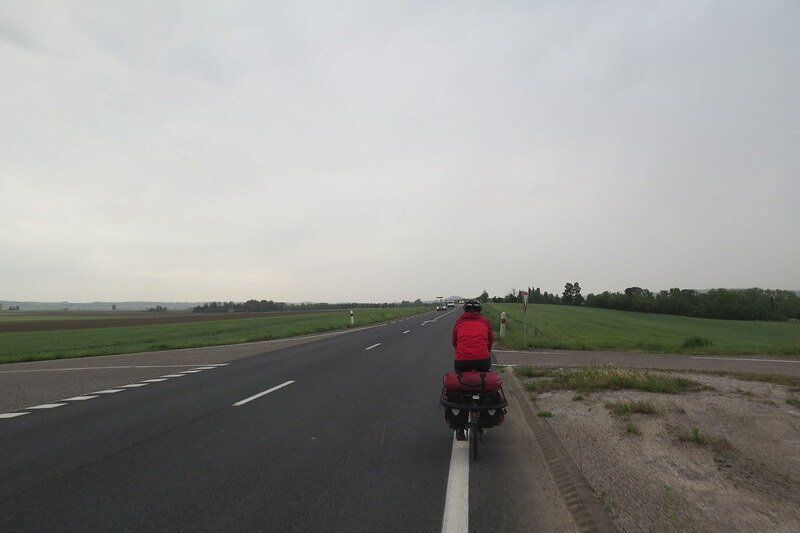 We took a couple of breaks in bus shelters when the rain was heavier, but we left mid afternoon and it only took us 3 hours to cover nearly 70km.